The title of first place for the previous contest went to myself, and I passed the choice for next title onto [USER=19313]@Ringabel[/USER]! 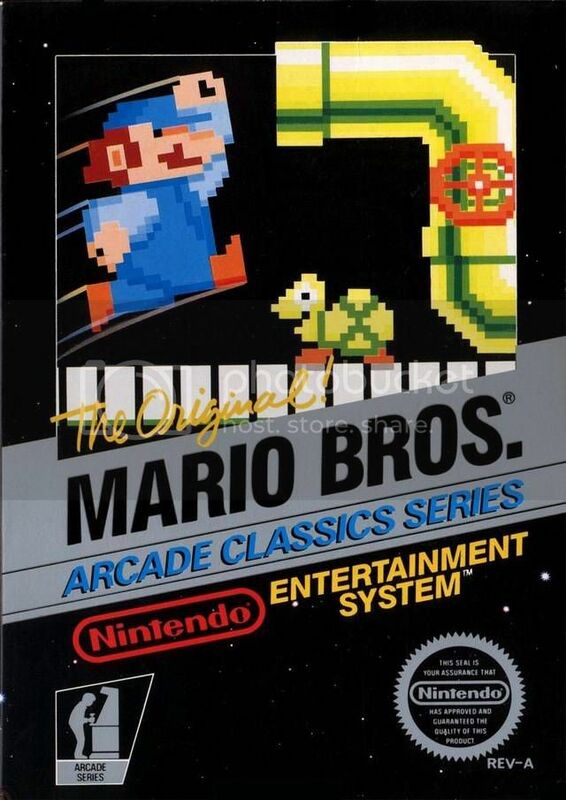 She has chosen the original arcade classic Mario Bros. for our next challenge! This is where it all started. No Koopa, no mushroom kingdom, just two plumbers and a terrible blockage. -Only Mode A is necessary! Mode B is more difficult, so you may play it instead, but you'll only be punishing yourself! Only include stages that you complete, ending with the stage you lost on. A screen shot or video is optional, but encouraged! We're all adults here, so I expect everyone to be honest about the numbers that appear on their 30 year old video game when they post about it on a video game message board. I will maintain a leader board in this post, and about one week from now the winner will be decided. Progress is measured by stages completed, then by score as a tiebreaker. The winner gets to choose our next game. This contest may earn you EXP to gain levels in the One Credit Challenge overall ranking! For more information, refer to the One Credit Contest: Leveling Up! thread. Participating automatically earns you 1 EXP! Alright, I would be remiss in my duties as Mario mod if I didn't do this one. oh boy, yes, yes, yes. This is something I'll get into! Thanks for submitting so soon, guys! I've played a lot of Mario Bros. over the years, but never in its original arcade format. The Super Mario Bros 3. version and Mario Clash on Virtual Boy are fond memories for me, so I'm looking forward to this one. ...I have yelled much obscenities already. The lack of physics in this game feels so weird. Ranks have been calculated, chart is updated, leaderboard graphical version is up! YOU CAN DO IT LOOT I believe in you. For what it's worth, I think I'm actually about as good with keyboard controls as I am with a controller for this one. ^ I actually bet I'd do a lot better with a proper joystick, considering. Man, this is tough. The sliding and jump physics makes it harder than the version that's on the GBA remakes.